Summer Holidays = Bored Kids? Get Them Creating Their Most Imaginative iMindMap and WIN an iPod Touch! Entertain, engage and educate the kids with our Creative Competition this summer! We’re well and truly into the summer holidays now and the kids are starting to get bored… They have played every board game and lost half the pieces, watched their favourite films ten times over, and to top it off its raining outside. Why not get them involved in our Creative Competition – a great way to occupy the fidgety kids and it’s completely FREE. Get Mind Mapping and Win an iPod Touch! Banish their boredom and get them Mind Mapping. All they have to do is create an imaginative iMindMap and in exchange we’re offering your child the chance to win a brand new iPod Touch equipped with the iMindMap Mobile Pro app to continue their Mind Mapping development even after the summer holidays are over. To win this fantastic iPod Touch simply download the free-for-life Mind Mapping software tool (iMindMap Basic) and get your child to draw their most creative, imaginative and colourful Mind Maps. So, you may have never heard of Mind Mapping, let alone iMindMap. . . but don’t fear! 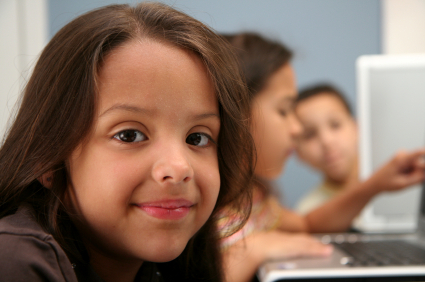 We will guide you through the process and how kids can use it. All you need to do is think of a central idea – what the Mind Map will be about. It can be anything from your favourite sporting star to a creative writing idea. Next, you start to draw branches from the central idea, showing related topics and radiating out. Think of Football as your central idea, your main branches off the central idea could be Teams, Players, Leagues etc. You can then expand on each branch by drawing more branches off them, for example you would add all the different teams onto the Teams branch. You do this for each branch giving more and more information on your central idea, drawing arrows between related branches to show connections, like between a player and the team he plays for. This will then create a Mind Map full of all your exciting ideas. Mind Mapping is a great tool to help unleash your child’s creative and imaginative skills. By using Mind Mapping rather than lines of text, your brain is freed up to generate and capture more ideas in a stimulating, visual,and still structured way. This is a powerful skill to get your children using as early as possible, and with the FREE iMindMap Basic software they can Mind Map in a fun way, quickly and easily! Why is Mind Mapping so good for kids? What Should They Mind Map? Encourage your children to use Mind Mapping to create a unique adventure story or fairy tale, or create a Mind Map of the best day of the summer holidays so far, using our vast image library to attach illustrative pictures to the branches. 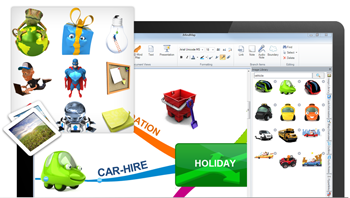 One of the great features of iMindMap is the ability to also upload your own photographs or graphics to really make your Mind Map unique – children can easily attach photos from their holiday or trip to the park or even pictures of their friends or pets. You can also attach images found on the web, such as your child’s favourite cartoon character or a movie star! This competition is open to everyone under the age of 16 and children can enter as many times as they like! Last date of entry is 12/09/2011. We will announce the winner via our blog and email the winner directly. Send your iMindMap file to us at competitions@thinkbuzan.com, along with ‘iPod Touch Comp’ and your child’s name within the subject box: e.g. ‘iPod Touch Comp John Smith’. 2. Get your child to draw their own Mind Map using iMindMap, they can draw branches, insert text, images and add their own photos. 3. Once your child has created their Mind Map, make sure they save it and then email us the Mind Map file (.imx) to competitions@thinkbuzan.com along with your child’s name, stating ‘iPod Touch Comp’ in the subject line. If you have any questions please do not hesitate to contact us at competitions@thinkbuzan.com, Tweet us @iMindMap, or facebook us here. Get your friends in the competition spirit by tweeting and facebooking your ideas back and forth. Maybe even post or tweet an idea to us and find out what we think.